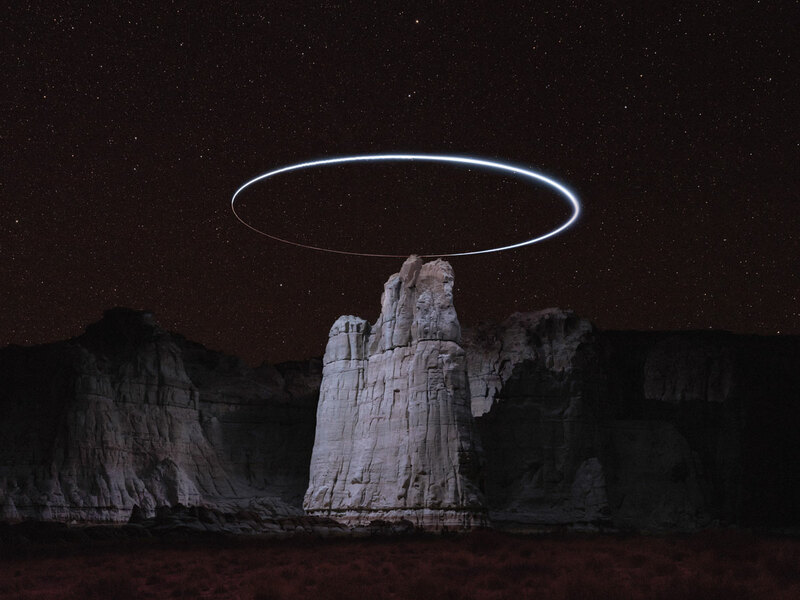 By equipping a series of GPS-enabled drones with aerial LED lights, artist Reuben Wu creates carefully planned scenes consisting of multiple lighting positions to produce theatrically lit compositions. 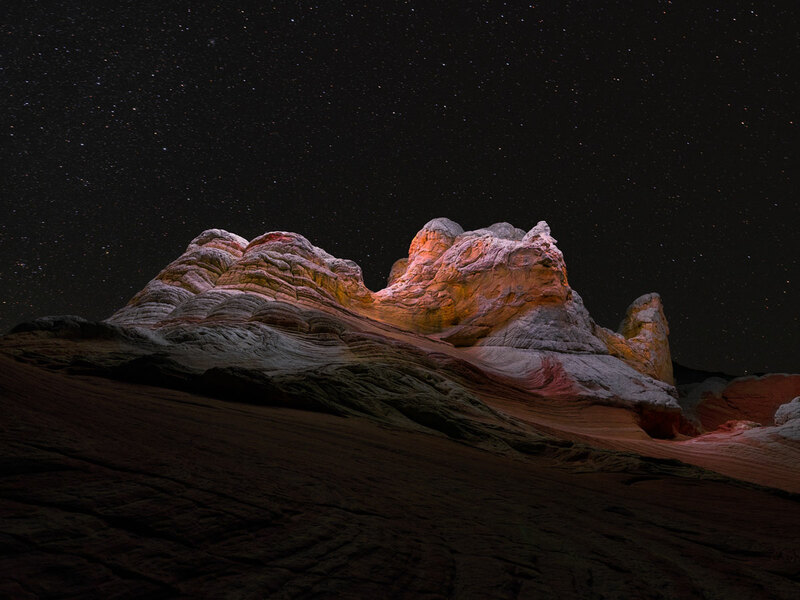 By shooting at night and using selective lighting, Wu is able to draw the attention of the viewer only to the illuminated, in an otherwise overwhelming and vast landscape. 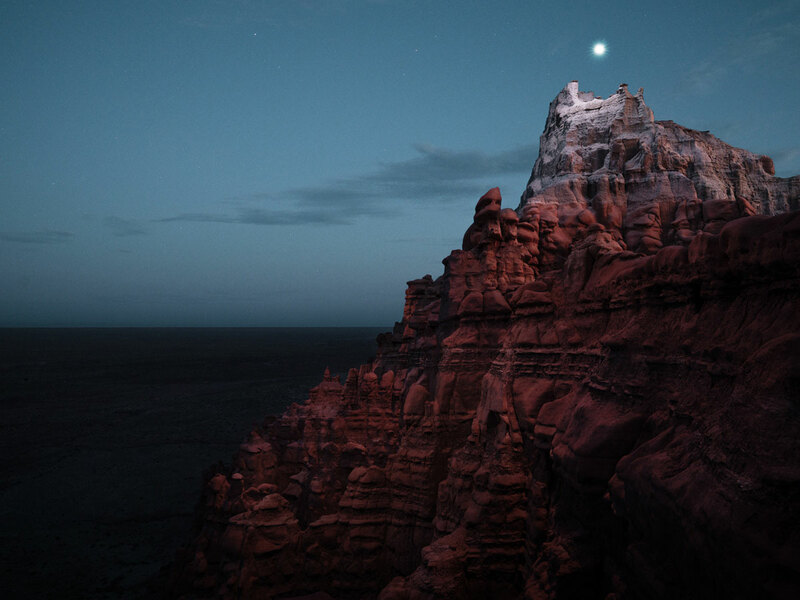 Lux Noctis is a series of photographs depicting landscapes within the framework of traditional landscape photography but influenced by ideas of planetary exploration, 19th century sublime romantic painting, and science fiction. 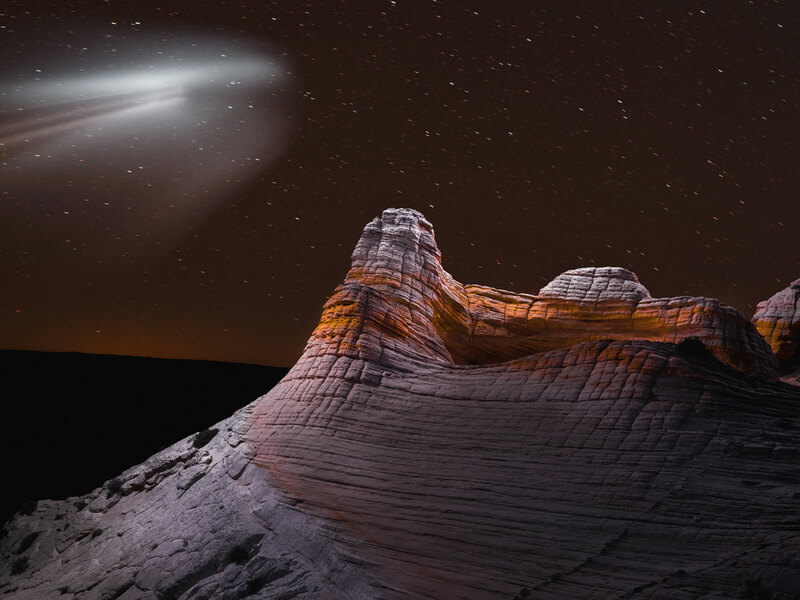 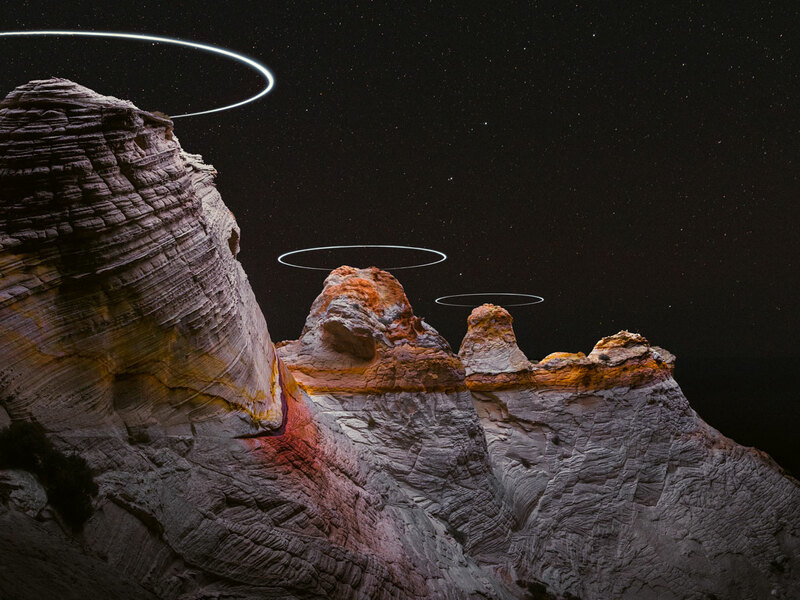 In Wu’s latest installment of the series, he uses long exposure photography to track the path of a drone, creating surreal halos above the peaks of various rock formations. 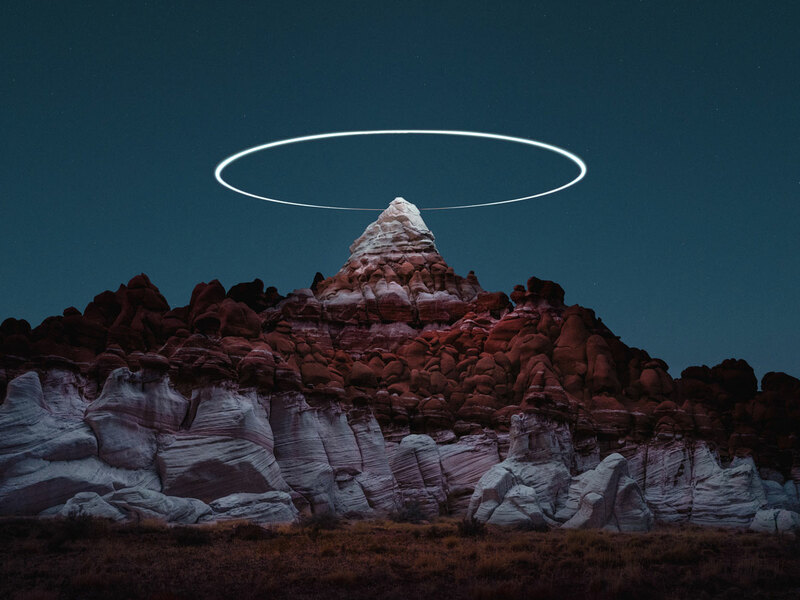 He tells Colossal that he sees it as a kind of ‘zero trace’ version of land art where the environment remains untouched by the artist, and at the same time is presented in a sublime way which speaks to 19th century Romantic painting and science and fictional imagery. 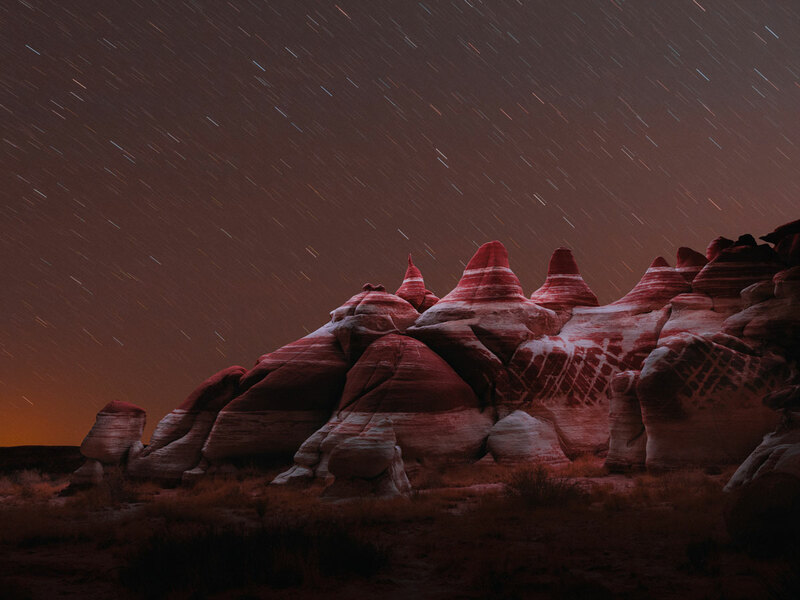 Below you will find highlights from Reuben’s Lux Noctis series. 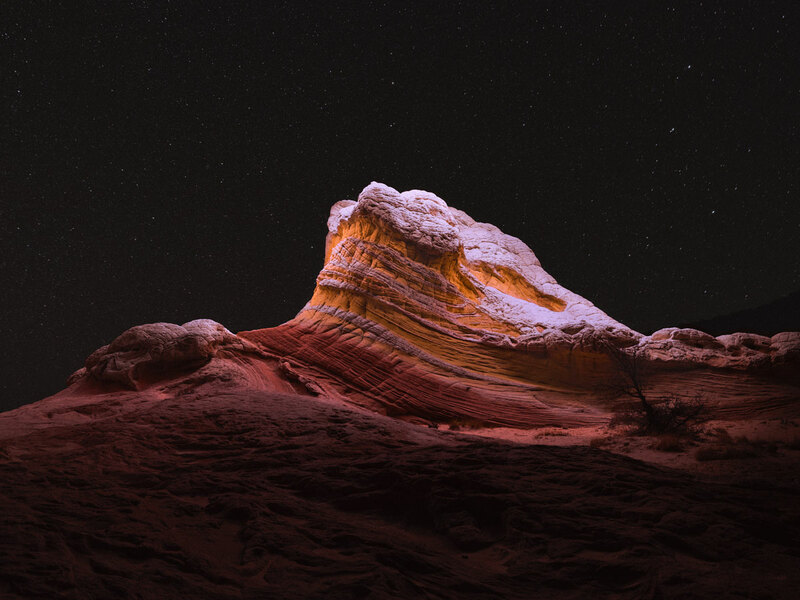 You can see much more from the artist and musician at the links below.